Are you looking for a great roadtrip this summer? 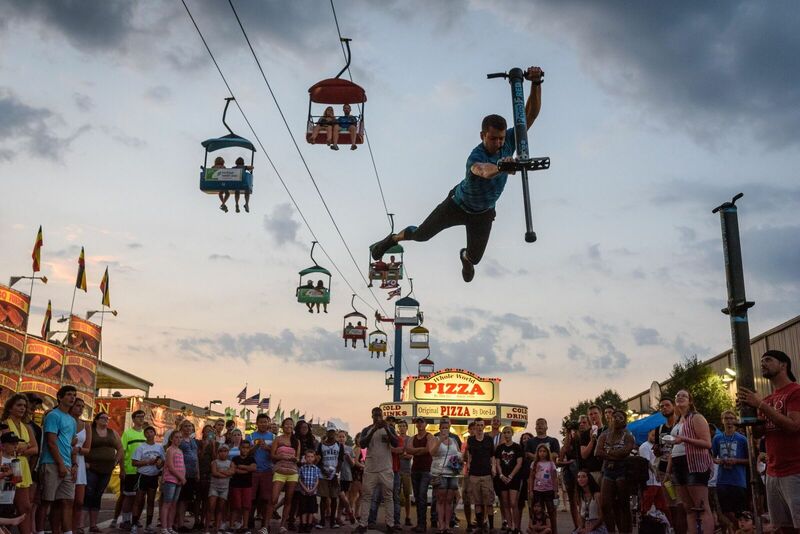 The 164th Ohio State Fair runs from July 26 to August 6th and is full of unique, fun activities and delicious food. 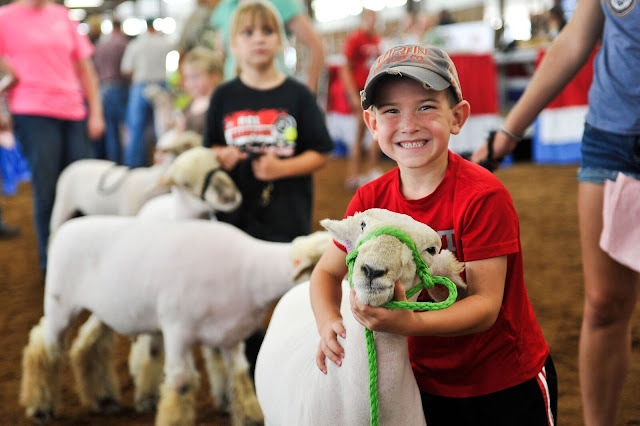 Enjoy a variety of activities including sporting competitions, a fine arts show, free stages with kids’ entertainment, a farm animal delivery room, a petting zoo, helicopter rides, roving performers, agricultural competitions, horse shows, a natural resources park and much more! They have a lot of new things planned this year. 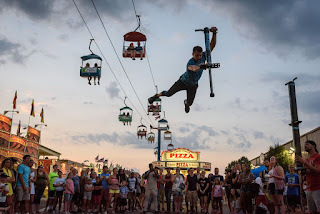 The Mountain Dew Midway features more than 60 exhilarating rides, while Meijer Kiddieland is home to rides geared toward parents riding with small children. 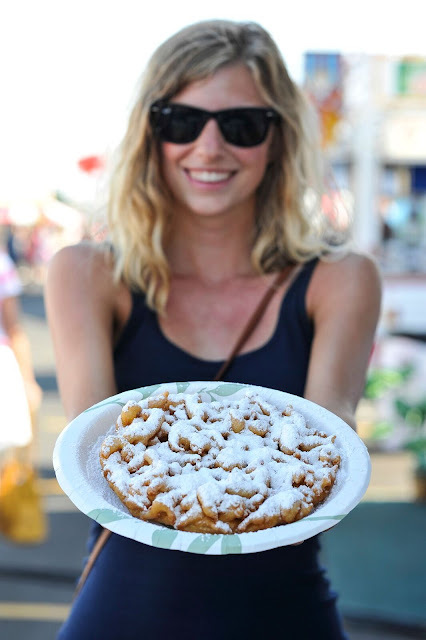 Fair food is SO good and the Ohio State Fair has more vendors than any other fair or festival - nearly 200! To help you find all your favorites, they even have a Food Finder. The Sloppy Donut BBQ Sandwich On A Donut With Fried Pickle Chips is calling my name. Cereal & milk ice cream, deep fried tacos and Tatchoes (tator tots meet nachos) are some of the fun new food that will be available. Food on a stick is a must and they have just about everything imaginable including a pork chop on a stick! Another favorite of mine is the roasted corn. They even have deep fried bacon-wrapped buckeyes. 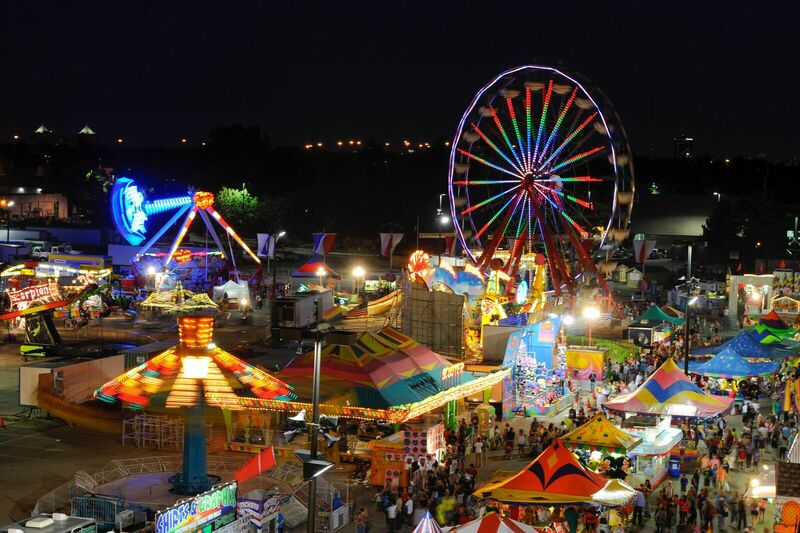 Columbus is a short drive from the Cleveland area and the Ohio State Fair is the perfect excuse to make the trip. I'll even help you get there - you can win four tickets by entering here or on Instagram. 1. Comment on this post either here or on Facebook telling me your favorite memory at the Ohio State Fair or your favorite fair food. 2. Like Eat*Drink*Cleveland and The Ohio State Fair on Facebook. Leave a comment telling me that you did. 4. Head over to Instagram. 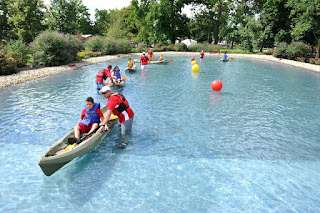 Like, follow and tag 3 people you would like to take with you. Make sure you include a way to contact you in case you win. 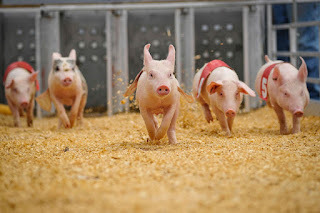 Winner will pick up their tickets at the Fair. Winner will be randomly selected and the winner notificed July 26th. Lucy & Ethel or Batman & Robin? Bert & Ernie or Kermit & Miss Piggy? Hans Solo & Chewbacca? Not everyone chooses the same all-time favorite pair, but when it comes to dining duos, Bonefish Grill is pairing top tastes for a special summer menu. Hurry up because this special menu ends July 23rd! Each duo comes with your choice of two sides. The mashed sweet potatoes and truffled mac and cheese are two of my favorites. In addition to the featured duos, they also have a selection of seasonal choices that capture the summer vibe. I couldn't resist the Caribbean Style Dayboat Scallops: sushi-grade caramelized scallops served with fresh pineapple salsa and vanilla bean rum butter, served with green beans and jasmine rice. I could have eaten a bowl of the pineapple salsa! My second choice was the Dynamite-Style Wild Salmon: wood-grilled wild Sockeye Salmon topped with dynamite aioli and feta cheese, served with a summer blend of golden gnocchi, tomatoes, spinach and fresh-shucked corn. 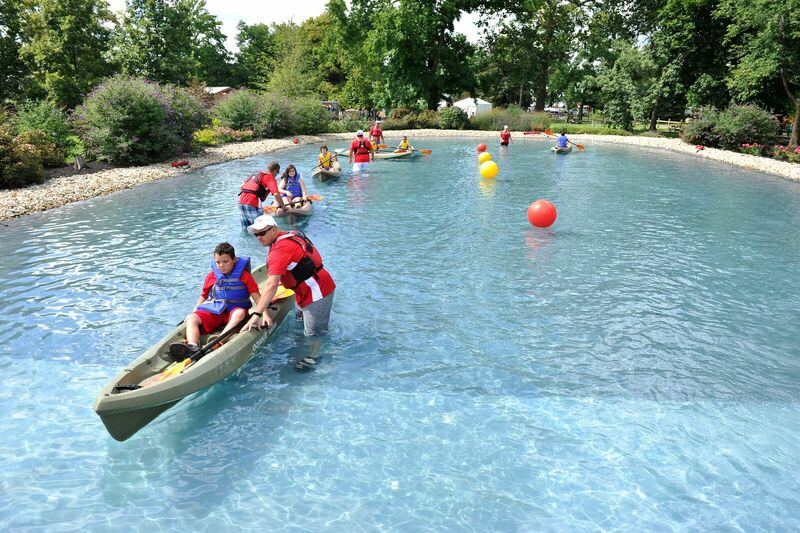 I WILL be going back to try this one! My hubby selected wood-fired Atlantic salmon from their regular menu with the lime, tomato and garlic sauce. The flavor of the wood-fired grill really made this dish shine. 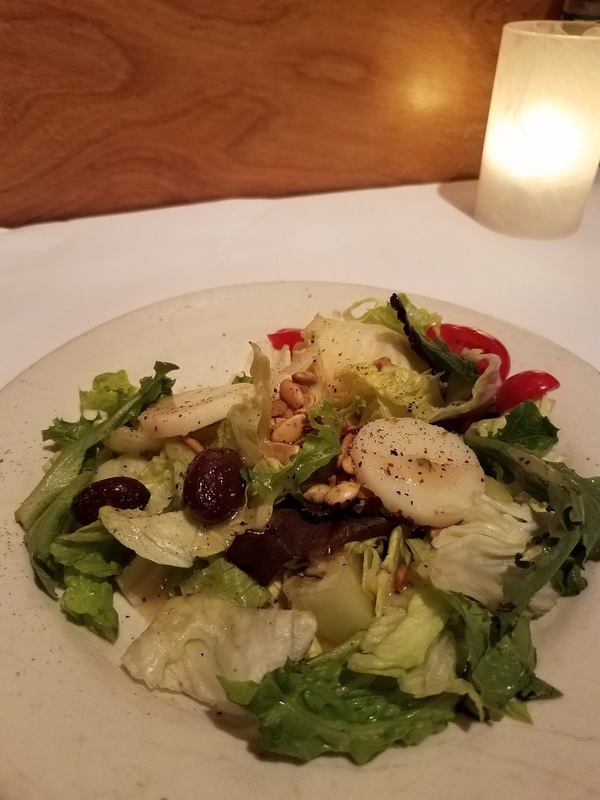 In addition to these mains, you can cast off with a Fresh Ceviche appetizer and dock with Summer Berry Bread Pudding, a house-made brioche bread pudding infused with Grand Marnier and orange zest, served with fresh summer berries, ice cream, whipped cream and salted caramel sauce. No way will you be leaving hungry! We each had a house salad and loved the combo of kalamata olives and hearts of palm - delicious! Because I'm obsessed with watermelon, I had to try the fresh Watermelon Martini: hand-muddled watermelon, house-infused English cucumber and Fris vodka infusion and fresh sourmix, garnished with a frozen watermelon cube. 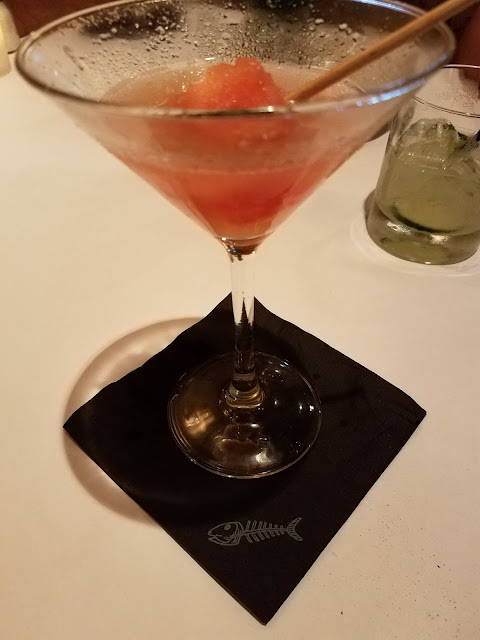 I loved the frozen chunk of fruit - it kept the drink cold 'til the last drop, but it lacked that really fresh watermelon flavor I was hoping for. I was tempted to try the Sparkling Blue Hawaiian: a bright and breezy tropical drink made with rum, Blue Curacao liqueur, Coco Lopez and fresh pineapple juice, topped with prosecco. But instead I tried the Cucumber Margarita and wow - this was a taste sensation! It's officially a Must Do - but be warned, they go down way too easy. 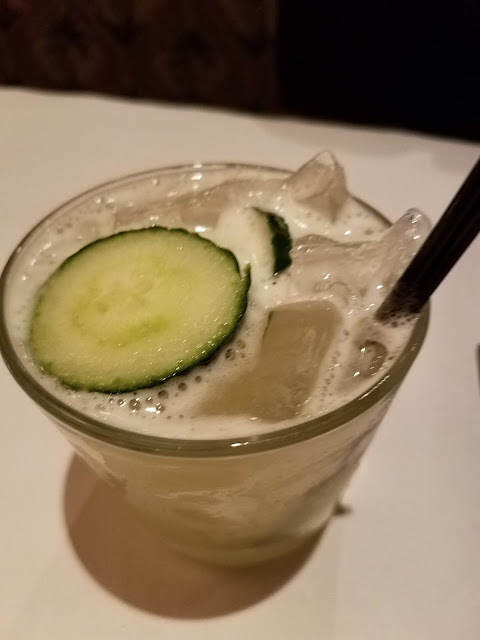 It's made with Patrón Silver, fresh lime and English cucumber, topped with a hint of St. Germain Elderflower liqueur and rimmed with salt & pepper for a perfect finish. I found this recipe online and plan to tweek it to try to duplicate it at home. I discovered that they serve Endless Bubbles Brunch. Um, yes please! They also have nice Happy Hour. 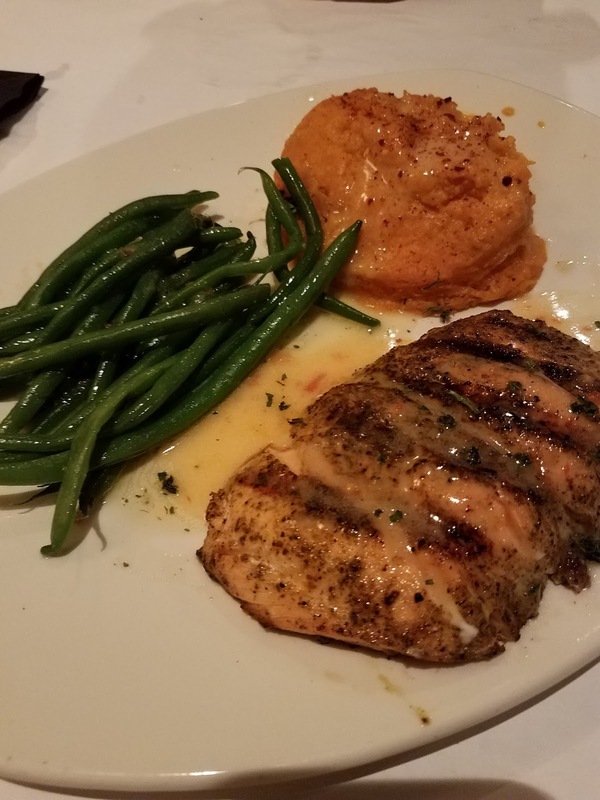 We had a great time and really enjoyed exploring the seasonal menu at Bonefish. While they treated us to dinner (Thanks Bonefish! ), all opinions expressed are my own. 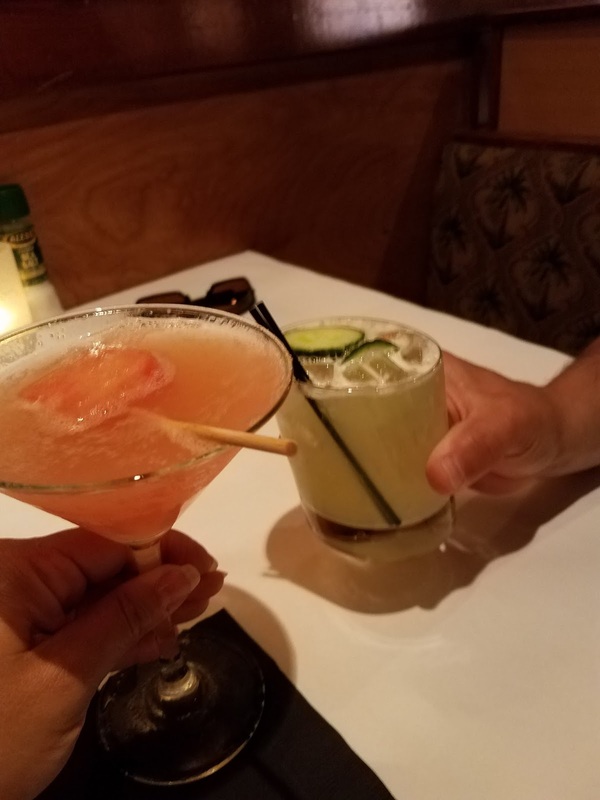 We also purchased our own cocktails.